WW1 brass gaming piece belonging to Egbert Lello, used to pass the time in the trenches. I had a fantastic time with the Little Museum of Ludlow on Saturday morning. It’s part of Ludlow Fringe, and an inspired idea to create a temporary, serendipitous museum of local objects brought in and lent for the duration by local people who’ve chosen to opt in. I’m going along when I can over the next couple of weeks to make poems with some of these people after conversation about the things they’ve brought into the ‘Museum’. Lovely to meet Teresa Albor and Catherine Wynne-Paton, artists from The Paradox of Order, who invented this project. 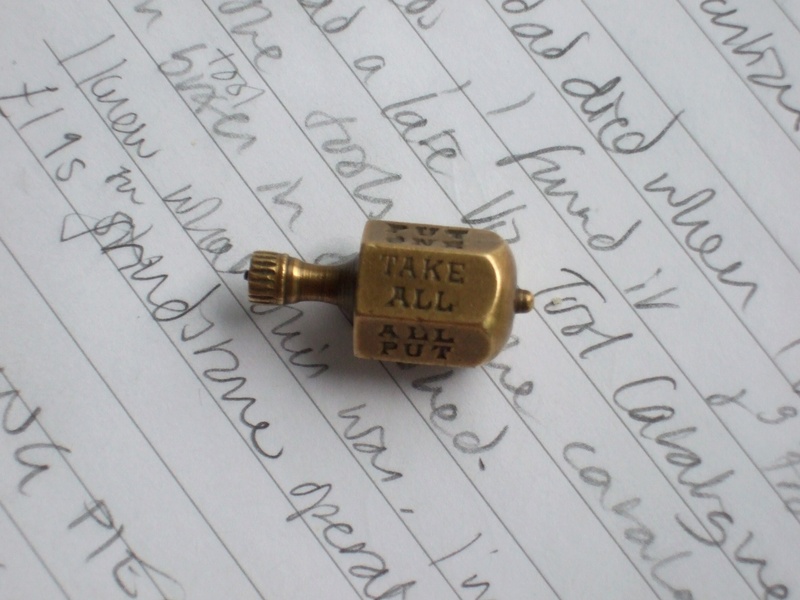 I was also there to meet Richard Lello, a very knowledgeable and nice man who came in to talk to me, bringing his great-grandfather’s brass bottlejack, and his grandfather’s WW1 gaming piece. From our conversation and my high-speed notes of what he said, I’ve now written two new poems for the Little Museum, which will shortly be on display with the objects in Ludlow Library. in a true gyre, that inertia-whirl before it falls. Its tip is polished from spinning on mess tins. 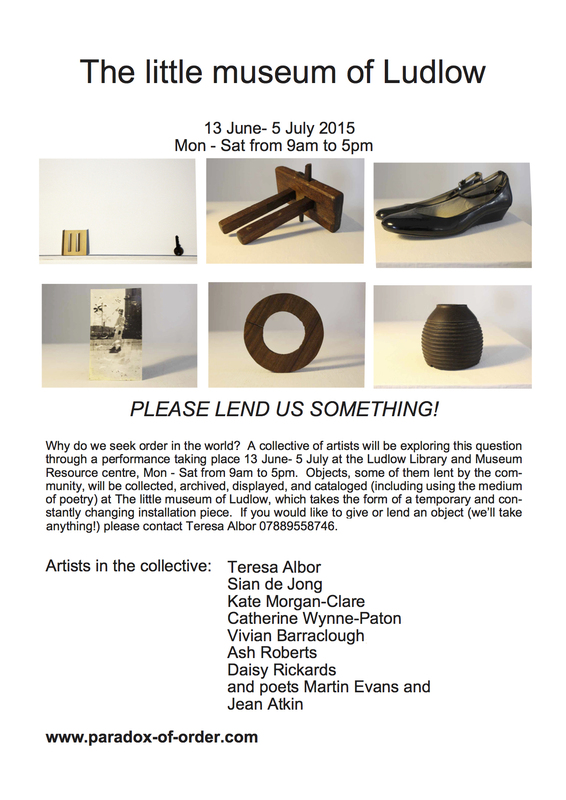 It’s a really lovely project, drop by if you can.